Would you pay to make your status updates more visible? Facebook has confirmed it is testing a new feature, which would allow users to pay a set fee to make their posts more visible. The Silicon Valley giant says it is attempting to gauge potential user interest in the scheme, after a Facebooker in New Zealand discovered the test. The promoted posts tool would allow users to pay anything from 25p ($0.40) to £1.25 ($2) to make their message carry further. Emergency aid or just attention seeking? 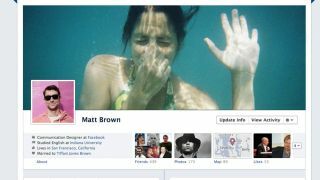 "We're constantly testing new features across the site," a Facebook spokesperson told the BBC. "This particular test is simply to gauge people's interest in this method of sharing with their friends." We could imagine this would be useful in an emergency situation ("Our dog is missing"...etc) or if you wanted to make friends more aware of a party or an event. However, more often than not, it's likely to be used by those who'll pay to make their social networking voice a little louder. Oh Joy. If the testing results in a fully fledged feature, it'll represent Facebook's first attempt to directly earn money from its 900m-strong user base.